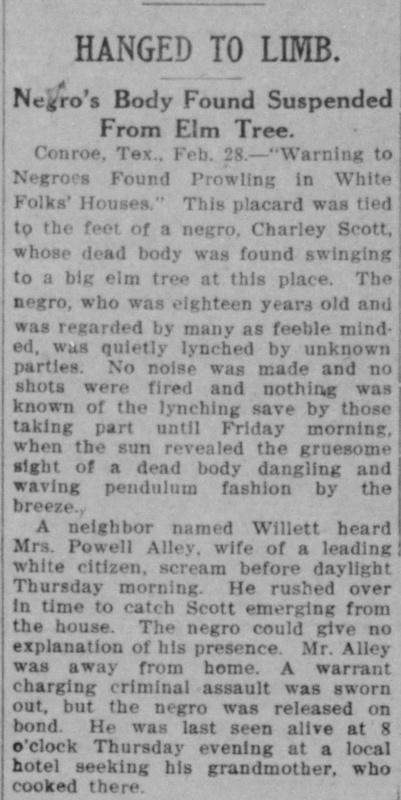 Lynching in Texas Staff, “Lynching of Charley Scott,” Lynching In Texas, accessed April 21, 2019, http://www.lynchingintexas.org/items/show/87. 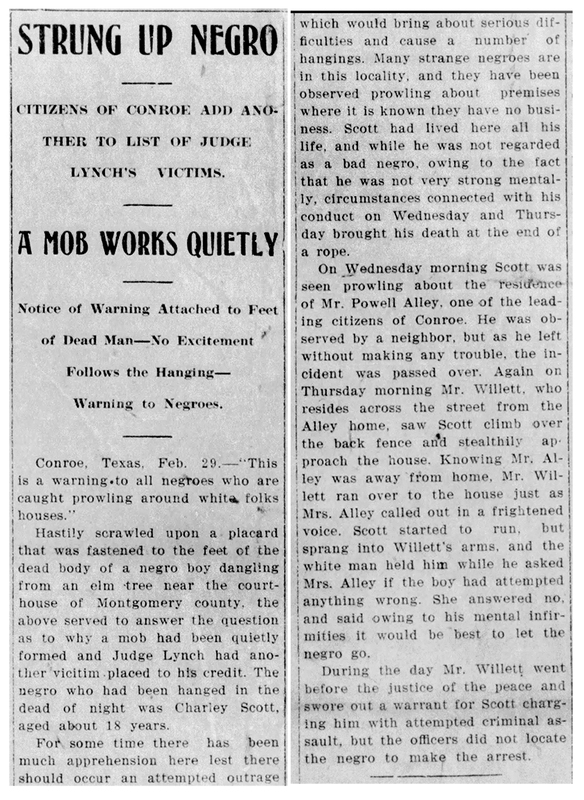 Published on Feb 14, 2018. Last updated on Sep 27, 2018.